Massage is an effective and safe form of health care. Massage improves energy flow, increases vitality, and enhances mobility in your body. Many people benefit from going for massages on a regular basis, and not just for injury recovery and rehabilitation, but as a healthy approach to dealing with day-to-day stress. If you are interested in maintaining good health, massage is a great way to take care of yourself. Our professional massage therapy clinic at Absolute Health offers our massage clients a variety of specialized types of massage and offerings, which means we can customize your massage to your liking. In addition, we can offer aromatherapy and herbology during our treatments. We continually focus on finding and treating the root of whatever pain or discomfort you are experiencing. Our massage sessions are customized for each client, and we can provide tips and strategies for good health and well being. Each Registered Massage Therapist (RMT) here is highly trained, with over 2200 hours of practicum experience. We promote massage because of the numerous medical benefits it can provide. Reducing and eliminating back pain. Pain relief due to musculoskeletal injuries and other causes. Massage helps painful or tight muscles, pain and tingling in the arms, legs and hands. Dealing with stress and psychological issues. It can offer pain relief and reduced trait anxiety and depression. It helps to reduce blood pressure and heart rate, and reduce a state of anxiety. An immediate increase in muscle ability, expedited recovery periods for muscle performance. Activating the parasympathetic nervous system and stimulating the release of endorphins and serotonin. Preventing fibrosis or scar tissue. Increasing the flow of lymph, cleaning the lymph system, and aiding in the removal of toxins. Improving sleep and decreasing restlessness. Click here to book your next massage appointment. Active release technique (ART) – This is a type of deep tissue manipulation, using specified techniques to release soft tissue adhesions. It is a form of massage that was patented by P. Michael Leahy. Acupressure – Many of our clients choose extra treatments using acupressure because they derive relief in the physical pressure applied along the “meridians” in the body where energy flows. This massage technique helps with clearing the blockages in your meridians. Our massage therapists may apply pressure by hand, elbow, or with a device. Medical studies indicate that acupressure can be effective at managing nausea and vomiting, addressing lower back pain issues, resolving tension headaches and stomach aches. Ayurvedic Massage – This massage technique is known to stimulate the lymphatic system. Our clients who want to expel the toxins out from the body chose Ayurvedic Massage because they believe it helps to also maintain immunity in human body. This form of massage is great to reduce pain and fatigue, as well as prevent aging. Breath Stimulating Massage – This is a brief massage technique used to bring awareness to your breathing pattern and help you fully connect with your body. It can be used alongside Cranio Sacral Massage Therapy. This type of massage was developed and researched by Nurses in Switzerland and Germany and is based on Basal Stimulation principles. It is used by some of our clients who are confused and disoriented (including the elderly or aging), people who have COPD and asthma, and those who have trouble falling asleep. Breuss Massage – This type of back massage therapy is effective in stretching the spine by using very gentle strokes. Developed by an Austrian healer, Mr. Rudolph Breuss, he offered this technique to relieve back pain and regenerate intervertebral discs. Sometimes, a soothing oil is used, such as St. John’s Wort oil, to increase the efficacy and flow within your body. Craniosacral therapy (CST) – We specialize in Craniosacral therapy here at Absolute Health. It is a very gentle way to release tension deep within your body. It involves the massage therapist applying a light touch to your skull, face, spine, and pelvis. CST can increase your body awareness and your mind and body connection. Some describe the craniosacral system as your body’s main electrical conduit, and receive CST to keep an unrestricted path for this flow of energy. CST can also help with an improvement of memory and other brain-sourced issues. It has can help those diagnosed with Autism Spectrum Disorder (ASD) and Attention Deficit Disorder (ADD). It relieves emotional anxiety and depression. Click here to book a massage treatment with Jennifer Steed. Foot massage – If you would like a specialized treatment, we can also use a reflexology related massage technique. This is performed mostly on the soles of your feet. We believe that specific points on your feet correspond to different organs within your body. By stimulating these points, you can experience a significant reduction in discomfort and pain. Clinical studies indicate that foot massage can promote better sleep, and reduce fatigue. Geriatric Massage – The elderly also have special needs. Our aging massage clients also experience profound positive health benefits from regular massage. As we age, we may not exercise or be as active as we used to, so massage is needed to promote circulation of your blood and lymphatic systems. This aids in greater physical and psychological health, and is great for those who are susceptible to conditions such as arthritis. Geriatric massage can help with pain and discomfort, can combat depression and improve posture. Lymphatic massage – We offer lymphatic massage to gently work through and stimulate your lymphatic system. This can also assist in reducing any local swelling. Your lymphatic system is a complex network of vessels that slowly carry cellular waste towards your heart, which helps your body filter and remove waste. Your lymph also carries immune system agents, so our clients believe in lymphatic massage as a measure to keep healthy and clean, because it improves waste removal and immune function. Medical massage – Absolute Health offers a variety of types of medical massage, including deep tissue massage, Myofascial Release and Trigger Point Therapy, osteopathic techniques, cranial-sacral techniques and these can be integrated into your sessions to work on various medical conditions. In 2004, a systematic review found that single applications of massage therapy “reduced state anxiety, blood pressure, and heart rate” while “multiple applications reduced delayed assessment of pain”. It was also found that there were “improvements in anxiety and depression similar to effects of psychotherapy.” We also treat patients who suffer from fibromyalgia. Myofascial Release – Our registered massage therapists also offer this massage technique to release adhered fascia and muscles. The benefits of myofascial release include eliminating your pain, increasing your range of motion and equilibrioception. This technique involves applying compression or tension in various directions, through cross fiber friction, or simply by rolling your skin gently. Pregnancy Massage and Infant Massage – Massage therapy during pregnancy, or prenatal massage, helps relieve many of the discomforts experienced through your pregnancy. Mommy massage can help you relax, improve circulation, and deal with aches and pains. Continuing massage therapy with postnatal massage then helps restore your body back to normal, and adjust to motherhood. Some parents also bring their new babies for massages to relieve discomfort, gas, reduce crying time, enhance attachment and bonding, enhance cognitive and motor development, increase body awareness, improve sleep and sleep patterns and reduce stress hormone levels. Reflexology – This type of bodywork involves applying pressure to your hands and your feet. There are certain “reflex areas” or points on your hands and feet that are connected energetically to specific body parts, organs and energy channels in your body. This technique can help remove energy blockages and promote good health in your related body area, and produce a change in pain. Click here to book a Reflexology treatment with Mavis Richards. Reiki – Translated into “spiritually guided life force energy”, the word Reiki is from the Japanese words “Rei” (“God’s Wisdom or the Higher Power”) and “Ki” (“life force energy”). It’s a technique used widely to reduce stress and induce relaxation. It can also promote healing. Practitioners administer Reiki by “laying on hands” and you can feel a wonderful glowing radiance flowing through and around you. It can treat your whole being, your body, emotions, mind and spirit. It is a simple, natural and safe method of spiritual healing and self-improvement. Somoto Emotional Release (SER) – This is a recognized body-mind technique which allows your body’s memories to be released, with significant emotional components. It was initially used by Dr. John Upledger when he worked with autistic children in the mid 1970s. His patients would spontaneously move into positions that facilitated release of old patterns, memories and situations, and included an emotional component. Dialogue is a key factor in the SER process. Your practitioner can “speak” with various parts of your body, can create a connection with a memory from your past, and your “inner intelligence”. This technique can help you resolve old conflicts which may be “holding up”, delaying, or hindering your return to complete health. This is a very useful and effective means to inducing a healing process and our clients often find this is a valuable ‘piece’ of the healing puzzle they have needed to feel complete, resolved and at peace within their body and mind. Sports Massage Therapy – With injury and injury prevention in sports, those in athletics have specific needs that can differ from other patients. 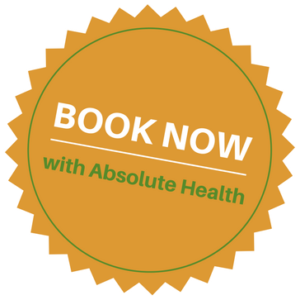 If you are looking for advice in how to prevent injury, how to avoid repetitive injuries, or you require intensive rehabilitation, Absolute Health can assist. We will root for you every step of the way, and get you active, back on your feet again. Traditional Chinese Massage – Our clinic`s registered acupuncturist is experienced in various forms of traditional Chinese massage including Tui Na massage. This form of massage treatment focuses on pushing, stretching, and kneading your muscles. The overall goal of traditional Chinese massage is to improve the flow of Chi throughout your body`s meridians. Therapeutic Massage – Our massage therapists employ a variety of techniques, include Trigger Point Therapy, Myofascial Release, Active Release, Craniosacral Therapy and deep tissue techniques. We treat many types of conditions and injuries including overuse injuries like tendonitis and carpal tunnel syndrome, sports injuries, whiplash and injuries from accidents and falls. Trigger Point Therapy – Our clients choose trigger point therapy to deactivate trigger points within their body that may be causing localized pain and other sensations, such as headaches. Our massage practitioners will sometimes use manual pressure or vibration applied to specific areas to relieve your pain. Tui Na Massage – Our acupuncturist at Absolute Health is a specialist in Tui Na massage, a traditional Chinese medicine style of treatment. Here, she will use a Chinese manual therapy technique which includes strokes aimed at improving the flow of Qi, or as some call it, Chi, throughout your body`s energy meridians. We have a variety of choices for your massage treatment. To see our team of massage therapists at Absolute Health, click here. 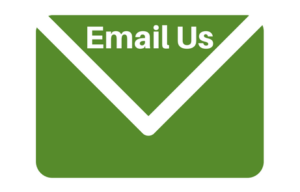 Call us at (780) 448-5888 during office hours, or click here now book your appointment online.